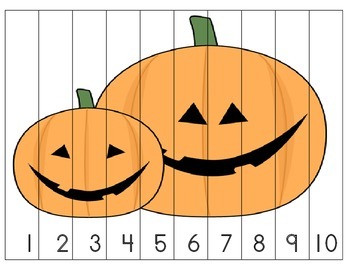 1-10 Halloween Puzzls. 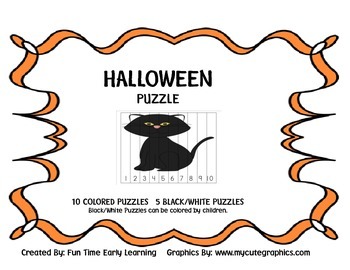 There are 10 colored puzzles that you can print and laminate. 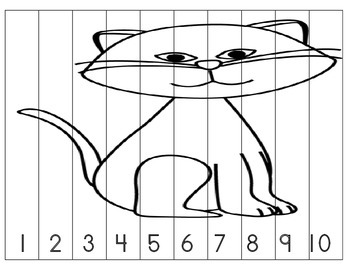 Once you have laminated the puzzle, cut along the lines and turn into a cute puzzle. 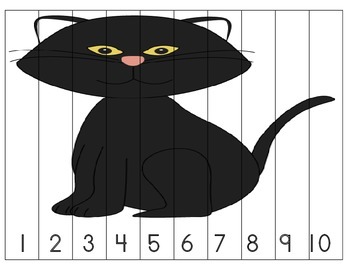 Place each puzzle into a plactic bag and add to the correct theme or center.The black and white puzzles are for the children to color and can be laminated. Enjoy!